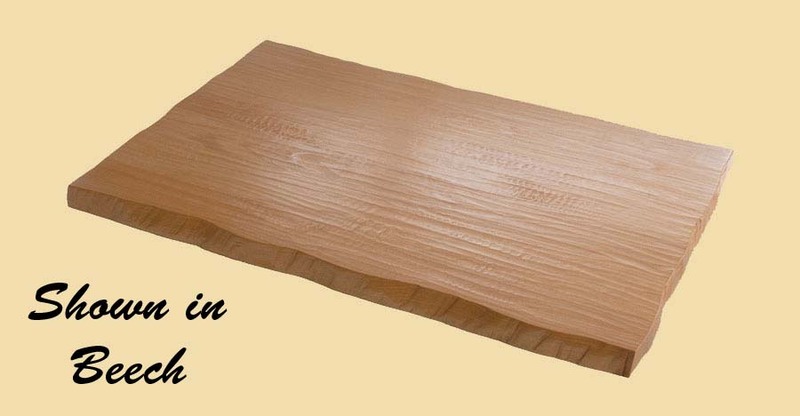 Premium Quality Custom Size Prefinished Knotty Alder Full Thickness Stair Tread. Quote and order any size online! Fill in the dimensions below and options below. 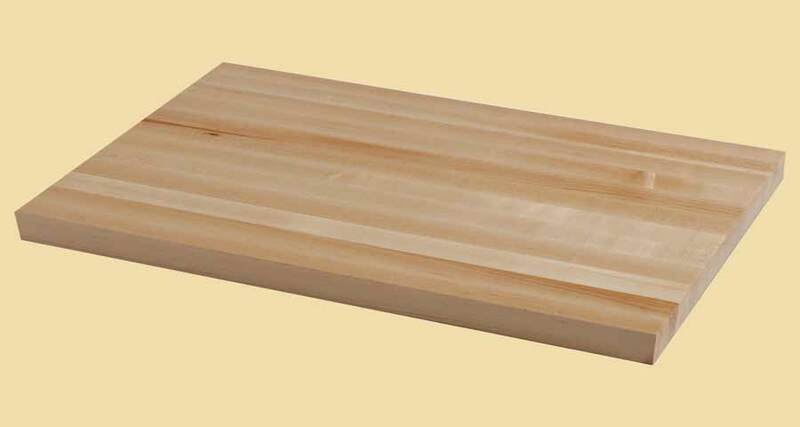 The stair treads on this page are 1" thick, available up to 29" wide and 115" long. Our Knotty Alder prefinished wood stair treads feature a color range of a light brown heartwood with reddish or peach tones, to a light sapwood. Knotty Alder is similar in character to Pine, and may have both small and large solid, open knots that vary in size, shape, and color. Knotty Alder often has small and large split knots and open knots that may go completely through the wood. All of our stair treads are made from top quality hardwoods. Our wood stair treads are not engineered and do not have a veneer. Only FAS and Select grade lumber are used. Your prefinished Knotty Alder wood stair tread will be manufactured slowly and carefully. The result is a premium quality hardwood stair tread, adding beauty to any home. For prefinished wood stair treads, a special catalyzer is added to a commercial grade, 45 sheen conversion varnish. Three coats are applied to each tread. This finish is hard and durable! 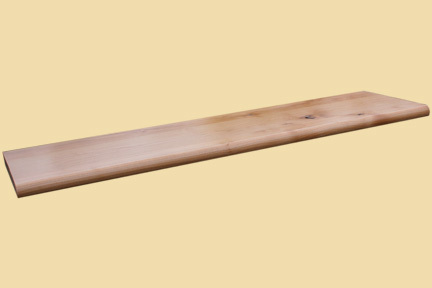 The Knotty Alder stair treads on this page are sold prefinished.